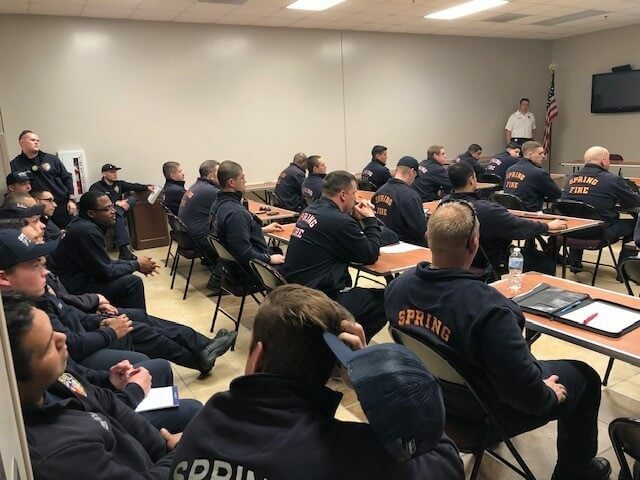 The Spring Fire Department believes it is paramount that firefighters have the best training to do the job, but are also ‘in the know’ within the department. 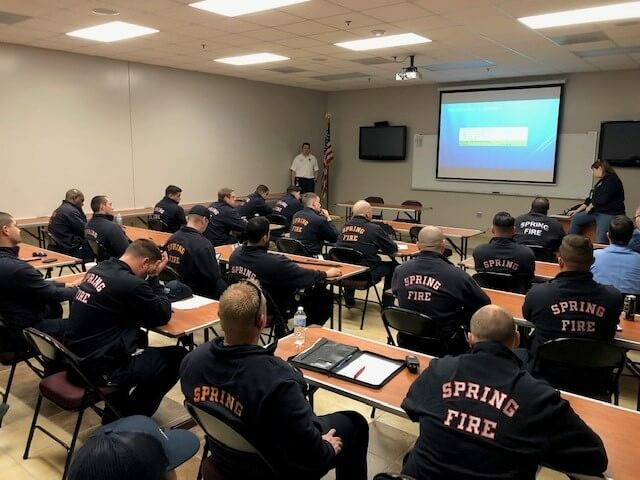 Over the past week, all firefighters have been attending meetings that include a review of the 2019 Budget and the department’s plans for the year. Some of those plans include upcoming events to keep the community informed, such Spring Into Safety Day on March 30, the summer grand opening of the new Station 74 — and community events like the Easter Egg Hunt, Special Day for Special People, and other fire prevention opportunities for residents of all ages. The meetings covered from everything from cost analysis, to building projects, to equipment and apparatus purchases. Spring Fire personnel are sensitive to the value of the items supplied to them to protect and serve our community. There was intense interest and attention, including some great questions and answers. Each meeting lasted about an hour so, like your fire department, the meetings were very efficient and staggered so there were no gaps in fire coverage for the community.